Our expertise lies in manufacturing and exporting excellent quality Voltage Dividers that are highly demanded in industries for various applications. These dividers are easy to use and install and are manufactured by a team of dexterous professionals keeping industry laid standards and specification in mind. Offered dividers are well tested for quality ensuring qualitative outcome at customers end. These dividers can be customized in convenience with customers’ given specification in order to make avail the desired product of as per their demands. We provide door-step delivery of these dividers within stipulated time-frame. Our reliable organization is bringing forth a gamut of highly efficient Voltage Divider.. These dividers are used in various industrial applications and thus are highly demanded worldwide. We Manufacture this qualitative gamut at very large scale to meet the high demands of our customers. Offered dividers are manufactured as per the international norms and standards. These dividers are strictly tested for quality through various quality tests ensuring best outcome at customer’s end. Customers can avail these dividers from us. Win addition custom-made dividers are also available to meet the exact demands of our valued patrons. D C Resistance Resistors are tested with standard specified voltages for its Ohmic values to check the specified tolerance. The Resistors shall be within specified tolerance limits. 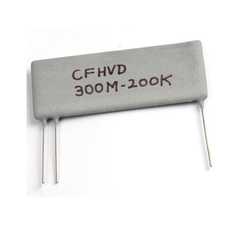 Looking for Voltage Divider ?